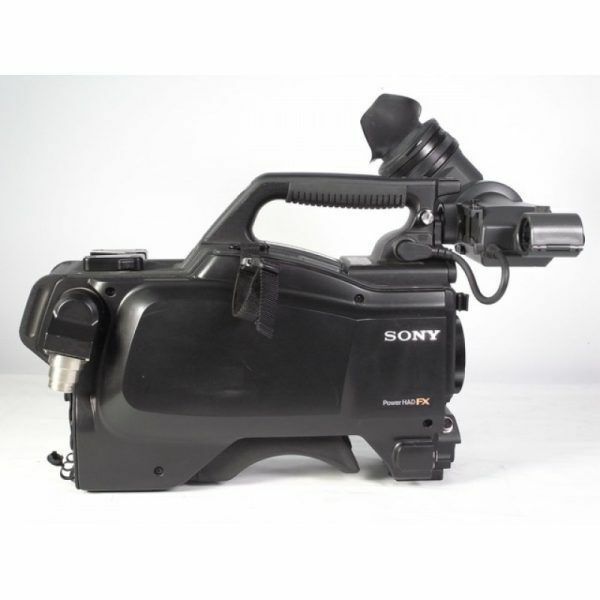 Sony HSC-300 HD/SD Triax Studio Camera System Like new very little use. 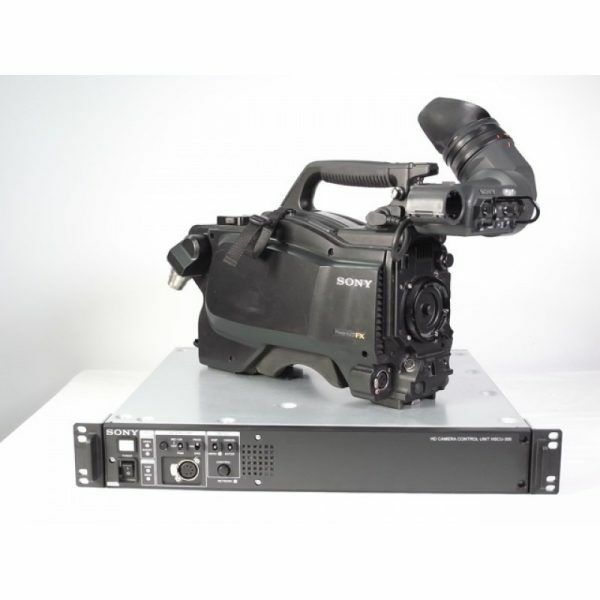 The Sony HSC-300R Digital Triax Broadcast Camera is an HD/SD camera with a digital triax CCU input. The triax system integrates into conventional triax-based infrastructures, allowing upgrades from existing systems, and supports cable runs up to 5,905 ft to an optional CCU. The camera features a 2/3″ type CCD sensor offering F10 sensitivity for 1080i59.94 and F11 for 1080i50, with -60dB signal-to-noise ratio. It also records in 720p and 1080PsF and down-converts to high-quality SD. An optional HZC-PSF3 software is required for 1080/29.97PsF/25PsF. The lens mount is Sony Bayonet. Inputs/outputs include XLR audio, XLR mic, HD/SD-SDI output, VF signal, return signal, SDI prompter output/genlock input/return input, and XLR intercom. 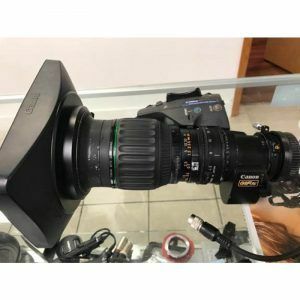 The HSC-300R supports large lenses via Sony HDLA-1500, HDLA-1505, and HDLA-1507 large lens adapters, and it features built-in Neutral Density and Color Correction optical servo filters that can be remotely controlled using an RCP or MSU. The adapters and controllers are sold separately. A 16-bit A/D converter processes images with very high color precision. A Digital Extender function expands an image by a factor of two in the center of the sensor’s captured image without any decrease in sensitivity. Auto Lens Aberration Compensation 2 automatically reduces chromatic aberration by horizontal and vertical compensation when using lenses that support this function. Seven standard-gamma and four hyper-gamma tables are available for use in adjusting contrast. A Multi-Matrix function applies color adjustments over a user-specified color range, and Adaptive-Matrix enables color conversion even when shooting under excessively strong ambient light. Master White Gain allows step-less gain level adjustments. Two types of focus assist are available — Viewfinder Detail adds dedicated edge signals to the viewfinder, allowing easy recognition of a focusing point, and Focus Assist Indicator displays an indicator for adjustment at the bottom or elsewhere within the viewfinder frame. The main chassis is made of durable magnesium-alloy casting. An integrated shoulder pad is adjustable back and forth without any tools. A protrusion on the front of the carrying handle allows added stability while shooting, and a non-slip structure on the handle’s lower surface provides better grasp. Assignable switches are available on the side and rear panels and assignable buttons on the handle. 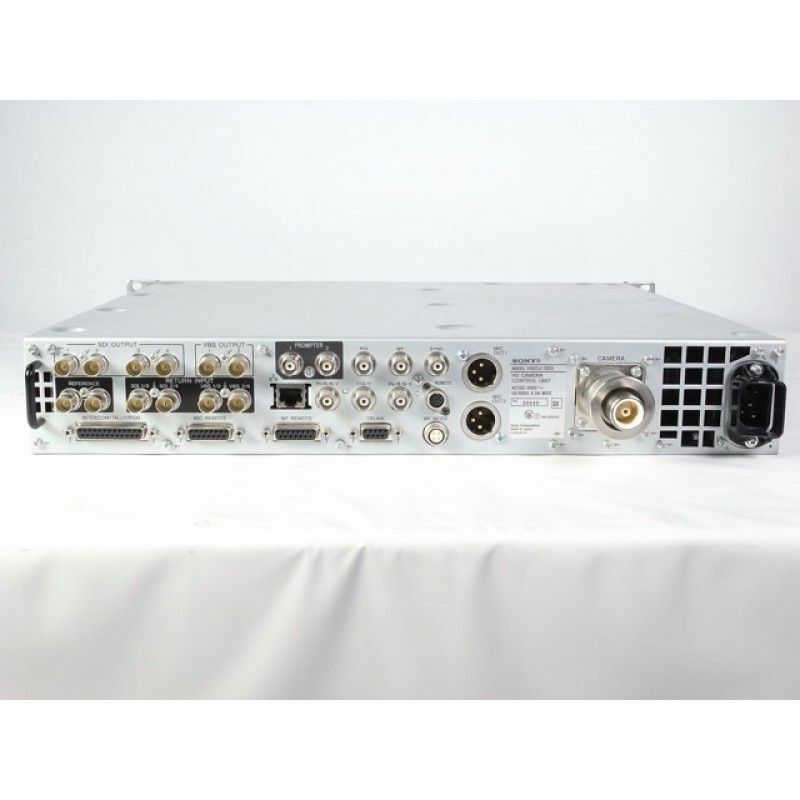 A 2/3″ type full-resolution 1920 x 1080 CCD sensor offers a high F10 sensitivity for 59.94 Hz and F11 for 50 Hz, with a signal-to-noise ratio of -60 dB. The HSC-300R uses a digital triax CCU input/transmission system that can be integrated into conventional triax-based infrastructures. This allows an easy upgrade from existing systems. Cable runs up to 5,905 ft can be established between the camera and optional CCU via a 14.5mm diameter cable, also optional. 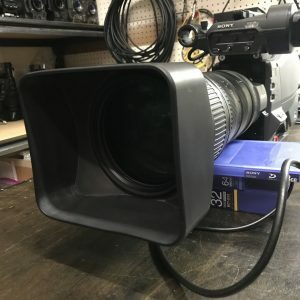 A 16-bit A/D converter enables captured images to be processed with maximum precision, and the Auto Lens Aberration Compensation function can optimize lens performance. 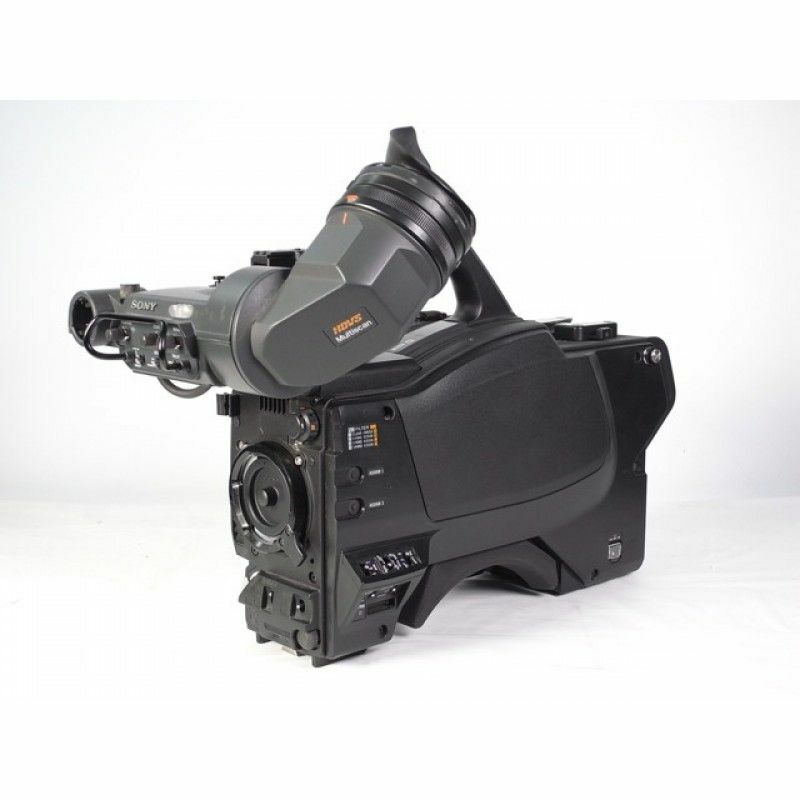 The HSC-300R supports large lenses via optional HDLA-1500, HDLA-1505, and HDLA-1507 large lens adapters. 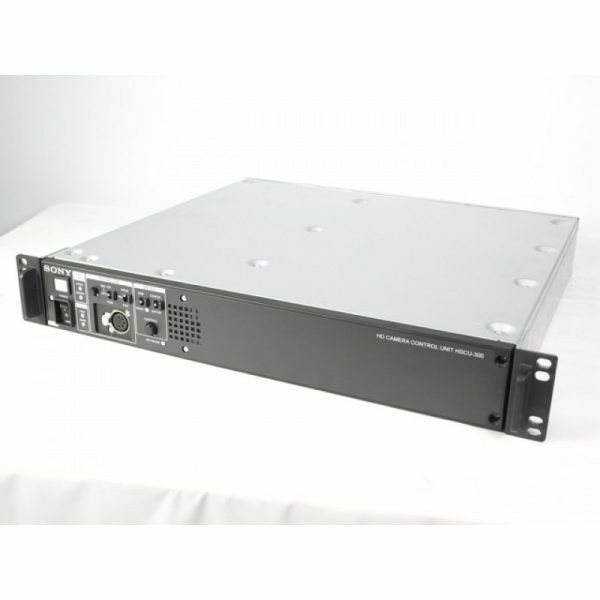 Built-in Neutral Density and Color Correction optical servo filters can be remotely controlled via an optional RCP-1000 Series remote control panel (RCP) or MSU-1000/1500 master setup unit (MSU). The Digital Extender function expands the size of the image by a factor of two in the center of the sensor’s captured image. This function works without a decrease in sensitivity as is common with conventional optical extender functions. The ALAC2 function automatically reduces chromatic aberration by both horizontal and vertical compensation when using lenses that support this function. 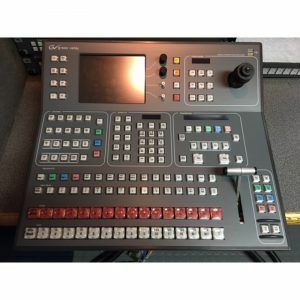 A wide range of inputs and outputs including HD/SD-SDI output, VF signal, return signal, SDI Prompter signal, and an intercom channel (ENG/PROD). 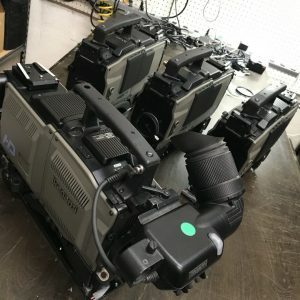 The main chassis is made of a magnesium-alloy casting, which ensures the durability and helps protect the camera’s lightweight precision components, such as integrated optical elements and electronics. 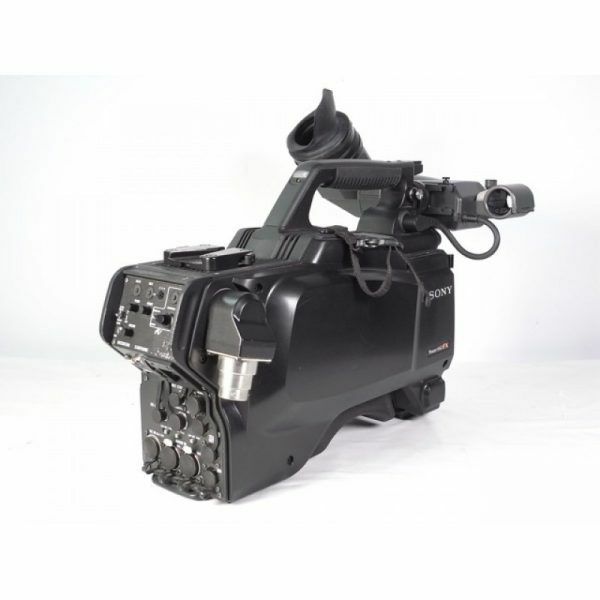 The integrated shoulder pad can be adjusted forwards or backwards to provide weight balance, useful when the camera is docked with a lens or camera adapter. This adjustment doesn’t require any tools.  “Viewfinder Detail” adds dedicated image-enhancing edge signals directly to the viewfinder, enabling the camera operator to recognize a focusing point. 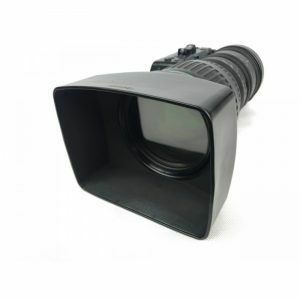 “Focus Assist Indicator” displays an indicator for adjustment at the bottom or other position of the viewfinder frame, particularly beneficial when shooting wide. The designed carrying handle enhances camera operability. A protrusion positioned on the front of the handle allows holding the camera with added stability while shooting. And the non-slip structure of the handle’s lower surface helps grasp the handle firmly. 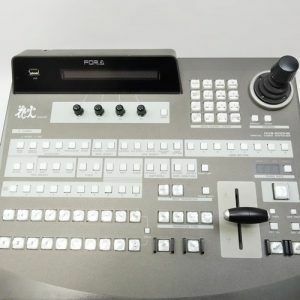 The camera features assignable switches on the side and rear panels and assignable buttons on the handle. 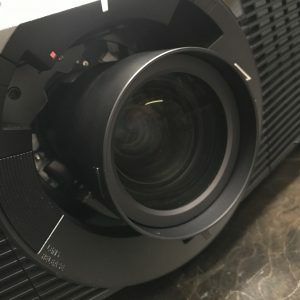 This down converter allows superior SD images as standard. Seven types of standard-gamma and four types of hyper-gamma tables are available for handling the contrast range and look of an image in-camera. 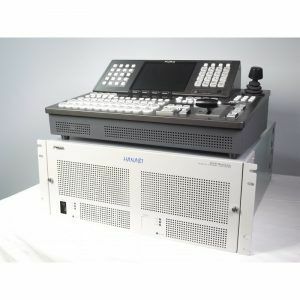 HyperGamma is a set of transfer functions that provide contrast handling by making maximum use of the CCD sensor’s capacity and wide dynamic range. These functions are quickly accessible via the set-up menu, and four curves are available to choose from. You can, for example, enhance natural reproduction in low-key areas to achieve greater flexibility in wide dynamic scenes. The Multi-Matrix function applies color adjustments over a user-specified color range. The color spectrum is divided into 16 areas of adjustment, where the hue and/or saturation of each area can be modified. This function is especially useful when only the hue of certain colors needs to be adjusted for special-effects work. 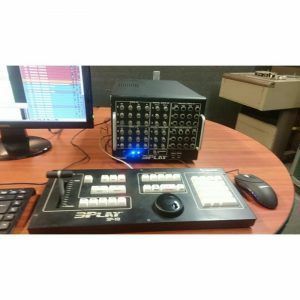 Multi-Matrix is effective for capturing images with similar color tone in a system configured with existing SD cameras or other models of camera. This function enables the picture from another model of camera to be easily matched. This function enables color conversion even when shooting under excessively strong ambient light, like under bright monochromatic blue light. Such a condition typically causes a conventional matrix function to exceed the color conversion range. The Master White Gain function allows step-less adjustment of gain levels, allowing the gain levels to be adjusted more precisely compared to conventional stepwise adjustment.